Want a home refresh in time for the holidays? For quick updates you’d like done by the time the holidays roll around, you’ll want to reach out in August /September. You are not alone in wanting to get your place looking it’s best and ready for visitors, so a consultation early on is a great way to get started and take the stress out of a last-minute scramble. Winter blues? Time for a decor pick-me up or room makeover? Any time works to plan ahead. For a quick turnaround, book early. For a full room makeover with furniture and decor, plan ahead by 3-plus months. Thinking about renovations you might like to work on in February? Same timeline - early Fall to start. It takes time to design, source everything, and line up a contractor. I've found it works best with the design complete and your job on the contractor’s schedule --before the holidays hit. If you are thinking about a Summer renovation, reach out in January to get the ball rolling. You’ll need a design in place to get an accurate estimate, so start with your designer early in the year. Contractors get booked in the summer to accommodate vacationing homeowners - to get your first pick of contractors you’ll want to start early. If you have a smaller project involving just a few changes I suggest 3 design sessions booked a week apart. We can keep your project moving ahead and transform your space on a fast track! Want to have a chat about a project, small or large? Schedule a call below! Curious about this strange arrangement I was about to set foot inside to take a closer look when I heard my friend yelling “No! We’re not allowed in there!”. It turned out the room was only for entertaining guests. I’d never heard of such a thing. The apartment wasn’t huge, but one entire room was forbidden to kids! 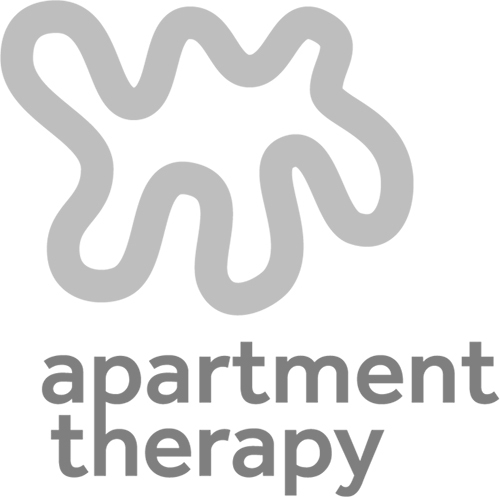 There are a few ways to to this, and I incorporated a number of them in this project which we did in a Windsor Terrace, Brooklyn condo. 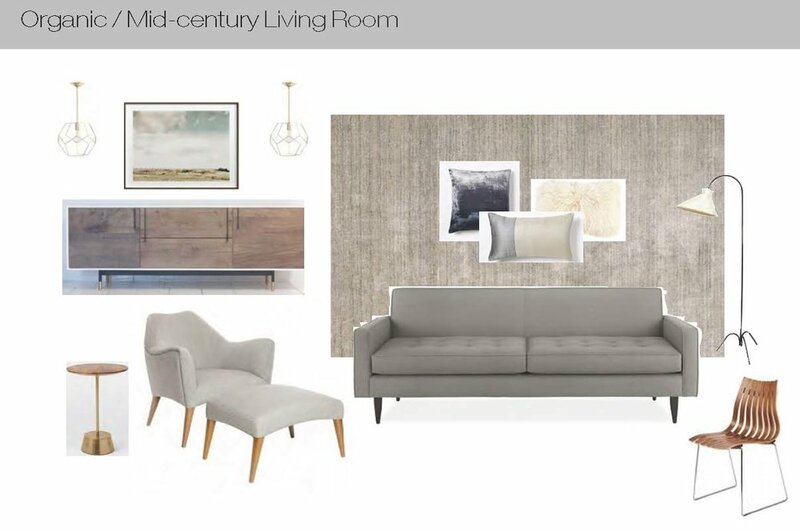 The 'before' included a huge wall unit, a rug that was lovely but not large enough to define the living area, and a sectional sofa, which was staying. The dining room had a pretty table and chairs, but was a bit bland and the contractor lighting wasn't helping! The space wasn't large enough for a buffet but I put a marble shelf in to make it feel a bit more like its own room. THE PROBLEM: An open plan with a small-feeling living room. While spacious, there was an awkward, empty gap between the dining room and living room. THE PROBLEM: Modern construction with a lack of character. THE SOLUTION- Layering and incorporating a mix of materials including marble, mercury glass, metal and ceramic. Window treatments to soften, and key artwork for each area. Closed Storage - for kids who can manage drawers, these make for quick clean up (i.e., open drawer, shove in toys, close drawer). Otherwise, a cabinet with doors and baskets inside works well. Ottomans instead of a coffee table - Replace the coffee table with a firm, upholstered ottoman - get a 'performance fabric' like the one we used from Restoration Hardware. It's forgiving on head bumps, you can put your feet on it, and it discourages eating on the table (but you can always use a tray if you need it). Durable Rugs- I like 100 percent wool for durability and cleanability, but there are some great polypropelyne and polyester rugs out there that are inexpensive and perform well. Stay away from viscose, jute or any kind of 'silk' fiber. If you have young kids, consider your purchase a '4 year rug' not a lifetime investment and spend accordingly. Sophisticated pendant lights - kids can't reach them, so you can do something a bit more elegant with overhead lighting. This marble shelf with handcrafted steel brackets added more presence to the dining room without taking up space. Have a design problem? Let me know and I'll include some solutions in a future post!. Looking for ways to update, upgrade, or warm up your home? Let's talk! You can book a complementary phone consultation below. Anyone ready for Spring? This is starting to feel like the never-ending Winter, and it’s just January, folks so we’re not done yet. I have never been happier to have a hot cup of tea (or a cider toddy) and a warm throw blanket to cozy up with. My living room throws get a LOT of use, and if you don’t have a couple of these around, you should get one. It’s one of those totally functional accessories that are an easily justifiable purchase, especially if this weather continues. And this one from Schoolhouse - reminds me of a country house in the woods. I guess the weather has gotten to me. You're cozying up with your blankie and need something hot to go with it, am I right? For a real warm up, I like a hot apple cider toddy, with bourbon, my new favorite winter drink. Here’s a recipe courtesy of WHOLEFULLY. You could substitute a pinch of cinnamon for the stick and just heat it in the microwave, then stir in the honey and bourbon. Boom. Done. I always stock up on tea at Trader Joe’s. Favorites are the Chai and Peppermint, but they have it all. PS - Ready for some design advice but don't want to leave the house? Book an e-design consultation by skype and email! 1. ONE PAGE PER SPACE - Create a page for each room and if you need a reminder, put a small photo of the space on the board. 3. CREATE A WAREHOUSE -Don't put EVERYTHING on your primary room page. Create a second page for your image 'warehouse'. This is where you put other items so they don't clutter up your main page. Borrow items from your warehouse to try. 4. KEEP IT CLEAN - Don't include any links or extra descriptions. These can also live on another page or in your 'warehouse'. 5. DON'T LEARN A NEW PROGRAM TO DO THIS - Or you won't get it done! Use a program you are comfortable with - I use Pages, but I've seen some great boards with PowerPoint, Word, and of course Photoshop and Indesign. 6. THIS IS ALL ABOUT EDITING - it costs you nothing to add and subtract pieces -on your board! Play around, reduce and add and you will see when it feels right. Ask yourself the age-old question from Sesame Street: Which one of these things is not like the other? Here are a few boards I really liked...not all turned into final spaces so it's good to be able to go back and see the original plan. Have any questions? Would love to hear what's on your mind when it comes to design! Want to work with me on a design for your space? Let's talk -- you can book a call below. I recently participated in a charity event event (Design on a Dime, Brooklyn Outpost) that had a ONE DAY installation time. We had one day to fully assemble a room vignette - not only that, but I didn’t even see some of the items in person until the installation day. As someone who likes to have a bit of control over things (ahem, yes, I am a bit of a control freak although I’m working on it), this was enough to give me an ulcer. The silver lining, however was that I learned a lot about what works and what doesn’t, and how to prepare for a one day transformation. Here are some of the lessons I learned, in case you ever want to do a real one day makeover. You will need to start with a plan of where things will go, options for styling and art, and (preferably) two friends to help with moving and installation. There’s a quick re-cap at the end of the post (and a link to my amazing Pillow Cheat Sheet). Here is a w-i-d-e angle shot of the 10'x10' space that was provided, the morning of the installation. I designed the bleached walnut console, and also contributed the sea urchin photos. The fantastic lamp is from Arteriors. So the honest truth now: Is it exactly what I had in mind? Ummm, not exactly. I wanted something edgier, more ‘Brooklyn’, or more ‘Emily Henderson’ with casual moroccan throw pillows, and a bright, beach-y feeling. Of course, when you are depending on the kindness of donations, you have to be flexible. My first ‘pivot’ off of my original idea happened when the two chairs were donated. I realized they wouldn’t stand out against a white wall, and come to think of it, neither would my white framed art or my light colored console. There wasn’t enough CONTRAST. Solution? 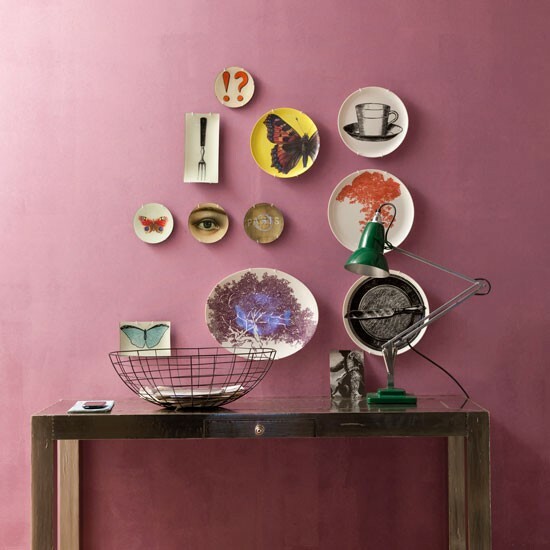 Go bold with a rich paint color. This is a pretty big leap for me, but for a temporary setup, with no client, and no one living there in the end, I felt free to go for it, and I’m glad I did. Next it was time to get the tile floor assembled (tape on the back, so it could be sold), and place cowhide and furniture. Ahh, the cowhide. We rotated that baby around and around until it finally ‘felt right’. Then the bigger pieces. Since I had started with a pretty tight furniture plan (see the rendering below) I figured we’d have everything in place in a jiffy. WRONG! Once we got it all in there, it was a bit too rectilinear, with everything just running parallel or perpendicular to the walls. It needed a dynamic twist, so we changes the angle on the table which made it so much more interesting. Experiment with furniture placement. Little tweaks of a few inches here or there with a rug or furniture can make a huge difference. Get a friend to help and stand back to view the results. I had what I thought was a great placement plan but ended up moving most of the pieces around to give it a more dynamic feel. Now it was styling time. I had artwork on hand, but not much to spare. I also had a table runner, vases, and flowers. But I didn’t have enough variety or size options so I needed to run out and fill a few gaps with some last minute shopping. That funky 'placemat' is actually a canvas I pulled off the frame. With decorative objects, variety is key. Bring books, bowls, vases, small sculptures. Bring more than you need so you can edit to perfection. Vary the material - stone, wood, glass, soft throws, pillows with various textures. Bring a s###load extra. This is one time when buying and returning unused pieces is recommended. Have lots of options on hand, but don’t load up the space with decorative objects. Place, remove, tweak, and edit, edit, edit. I love my job, especially when a challenge comes along that really gets me to think more creatively. Truth is, I deal with a lot of logistics... chasing deliveries, sweet-talking cranky plumbers, returning damaged light fixtures...you get the idea. So I was really happy when appliance maker Big Chill asked if I could could put together a design board incorporating their line of gas stoves that come in AMAZING colors. I have a beach shack fantasy so this was a perfect opportunity to engage in a bit of dreaming using their Beach Blue appliances. For the floors, I knew right away I wanted to use these cement tiles I saw on a recent trip to Mosaic House - and the color worked perfectly with the range. Lately I've been thinking about using wallpaper in kitchens so I thought this would be a good opportunity to add a bit of wallpaper to the back of open cabinetry, and I liked the sweet yellow bird in this design by fellow Brooklynite Julia Rothman. I thought this was just enough color to counter the blue, and the pendant light from Dot and Bo sealed the deal. I'm ready to pack up my towel, Coppertone and sunglasses and hop on my bike! Want to add some of these elements without a full renovation? You can wallpaper the back of cabinets after removing the doors, switch out light fixtures, and replace cabinet hardware -- it's a weekend makeover for your kitchen! Ready to create your OWN design board for your room redo project? Find out exactly how in my free e-book, which shows you how to do a complete room makeover in TEN EASY STEPS! Get your free e-book and design it yourself! Are you thinking about renovating this summer? You’re not the only one…so the time to start is now. A lot of contractors have already started booking up their summer, so to make sure you can get on the roster you should get your design ideas in order and start reaching out to find the right person. Remember, it’s more economical to take care of as much as you can at one time, rather than break the project up to be done at different times. Just loading in tools and supplies (not to mention you clearing out all your stuff) is a big part of the job. If you are planning a kitchen, bath or making other types of upgrades be prepared with key questions during your first meeting. Take a look at the list below to help you know what to ask! Set up an appointment with a kitchen design center (just keep in mind that their goal is to include as much cabinetry and add-ons as possible!). Having measurements of your kitchen will be important to make the most of your time. 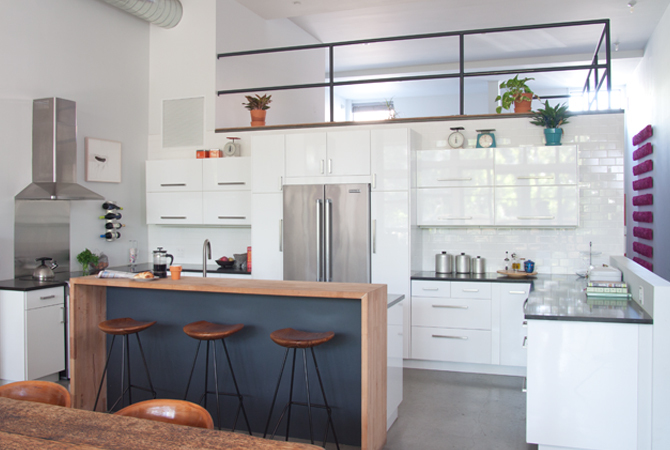 Hire a designer who specializes in kitchens (ahem…like CAVdesign) for a consultation on layout, functionality and materials. It’s helpful to know what cabinet style you like, or better yet know where you’d like to purchase your cabinets. Many contractors are good with layout ideas, but I’ve met very few whom I’d trust to make aesthetic decisions on tile, counters and cabinetry. Better to make those decisions yourself or with a designer, and work with your contractor to make sure the correct materials and quantities are being purchased. For baths, you can choose tile and fixtures, but do NOT purchase anything until you have confirmed your ideas with the contractor. Bathrooms are small and can be tricky with regard to plumbing locations and what will fit. If you live in a co-op or apartment, make sure you building will approve your plans. A lot of people are replacing tubs with walk in showers - don’t assume you are allowed to do this as many buildings have gotten quite picky about allowing this change due to leaks from faulty installations. If you plan to take down walls - you may need an architect or engineer to vet this and if need be, file plans with the Department of Building. Don’t assume anything, even if your neighbor has done it. Remember, the Stuff that Shows Is What You’ll Need to Pay Attention to! Is it level, tidy and even? Sheetrock and taping. Do you see small ‘bulges’ where two pieces of sheetrock are seamed together? Or can you see scrapes or areas that are not smooth or sanded? Corners on walls, floors, tile, and cabinetry. Do the edges come together nicely? Are gaps filled or covered in a way that looks clean and finished? Every contractor is different, and some are happy to work patiently with homeowners to get them the look they want. These are the guys you want on your project! Do you have any questions or are you feeling stuck on anything you plan to do in your home this summer? You can make a comment below, or head over to my Facebook page and I’ll do my best to answer! If you want to find out more about what to expect when renovating a kitchen (including a lot of my ‘insider tips’) for less than the price of a cabinet knob, take a look at my ebook, Kitchen Design and Renovation: a step-by-step guide to planning and managing your kitchen makeover. Are you thinking about a new kitchen from IKEA? Have you shopped around a bit only to find out the Swedish Giant appears to provide incredible value for the price tag? I’m a loyal ‘old-timer’ when it comes to IKEA kitchens - In fact over the past 12 years or so I’ve installed at least 14 kitchens from IKEA, not to mention using the components for all kinds of other projects. But the real differences revealed themselves when I actually started installing them in my own design projects where I discovered that - like most changes - there are pros and cons. One of the obvious differences is the huge amount of customizing on the configurations, and another is the 15" deep upper cabinets. Both can be great new features -- or not. 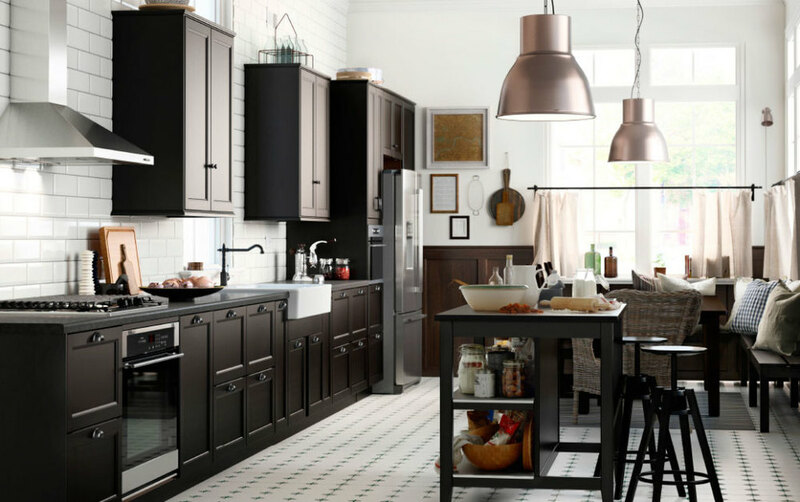 Read on for the pros and cons of IKEA Sektion kitchens...but first grab your free checklist to get you ready for your kitchen reno! Pro:The upper cabinets are not the standard 12” deep but 15” deep. This has the benefit of holding a lot more stuff. They’ve also introduced quite a few configurations which include things like drawers. Pro: What I do like about this is that if you want to do a ‘hack’ and get some cool configuration of a 15” cabinet with drawers, you have some great options. So, great for the IKEA hacker, not necessarily for the kitchen buyer. Con:For me (as a shorty) an upper cabinet with drawers which start 54” above the floor is on the high side to be practical. Con - Please read!!! : Microwave/vent hood combos that go above the range (and other upper cabinet built-in microwaves) are designed to have 12” cabinets next to them. With IKEA’s 15” deep cabinet, this can happen: sometimes the cabinet door next to the microwave, or the microwave door will not open without rubbing because it’s sitting too far back to clear the cabinet door. Not good! You need to put a filler between the microwave and the adjacent cabinet to compensate, and they don’t tell you that at IKEA. Hopefully this will be part of forthcoming sales training in the kitchen department. Pro: There are tons of drawer configurations, including shallow drawers within drawers and recycling features with large drawers that pull out from sink base cabinets. Con: Don’t assume the under-sink recycling pullouts will fit - your plumbing configuration may block the drawer track making it unusable. I suggest you install plumbing first, THEN see if it will accommodate a drawer-style pullout. Con: the hardware for the larger under-sink pullouts seems flimsy for the size of the drawer front. Con: they have eliminated my favorite 12” pullout cabinet and replaced it with a 12” pullout with a metal shelving unit. Bummer! I used to use these as skinny trash pullouts and the new ones are too shaky and don’t have the right shape to do so. I think the new one is flimsy. Sorry IKEA. In addition to all the options above, there are now ‘luxurious’ features like lighted interior drawers, remote controlled under cabinet-lighting, and more. Overall, there are now a lot of options to consider which can also be overwhelming. Take a deep breath and think about what YOU really need and want. Think about how you use your kitchen, what you like to have close at hand. Remember that adding features also adds to the cost. Quietly, and little by little the cost for your IKEA kitchen goes up….while you are standing there with your helpful kitchen associate who can show you drawers within drawers, pullout trash bins, and interior drawers that magically light up when you open them. So, like every design decision you make, consider the pros and cons of IKEA Sektion Kitchens before you make your final decision. How? Take a deep breath and think about what YOU really need and want. Think about how you use your kitchen, what you like to have close at hand. My opinion? IKEA still offers one of the best values available for kitchen cabinetry. Like many of us at the start of a new year, I recently started a list of my New Year’s resolutions and realized that it was actually depressing me. Why? There is no way I am going to conquer all the clutter in my home, exercise 5 days a week, put home-cooked dinner on the table every day, and no way I will suddenly become a super-tidy person. It’s just not me. Leaving it general gave me permission to adjust what I did so that if I was super-busy, or didn’t have time to go to the gym I could still stick to it. This felt good — I wasn’t ‘failing’ at my resolution, instead, I was building the good feeling and strength that comes from sticking to it. Plus my hair looked better! What I learned was that resolutions and goals do not need to be the same thing. A resolution can encompass a shift in outlook or be one daily habit that you incorporate. The goals you create out of that ‘sit under it’ but the resolution can be more general. It takes some of the pressure off to know that as long as you are heading in the right direction, practicing what you declared even in the smallest of ways, you’re succeeding. This year, I’m thinking of how to apply that idea to other areas, including my home. Since last year’s resolution worked so well, I’m going to resolve to “do something nice for my home every day”. Bring in fresh flowers - homes love plants and flowers. Your home will thank you. Clean out just one drawer. Rearrange or re-edit one decorative ‘vignette’ in your house. Label your pantry/drawer/kid’s drawer so everyone can put things back where they belong. Clean a window, or schedule a pro to do them all. Fluff and rearrange your pillows. Put a pretty throw on your favorite chair or sofa. Take a fresh look at a room or area you’ve become ‘immune to'… Ask yourself, “What could it use? What would make it look nicer or function better?” Pick one thing. Take a moment of gratitude for an area or a detail that really makes you love your home, no matter how small. I’m sure you can think of a lot of ways to show some daily love to your home. Let me know what you’ve come up with on my CAVdesign Facebook page. Let’s see if we can come up with 365 different ideas this year! Instead of feeling guilty, I hope you come to love your home all over again. Want some guidance on how to get it done? Pick up a copy of my free ebook: 10 Steps to Your Perfect Room Makeover. OK, so I exaggerated. There's actually no such thing as a hassle FREE renovation because let's be honest, your home is getting shredded and rebuilt, you've likely moved out, there's dust and debris, and quite frankly, there are always surprises (and I don't mean surprises like finding a $20 bill in your pants pocket). But there ARE some things you can do to reduce the chance of problems, and I learned all of these on the job. How? Let's just say I've been doing this long enough to make every mistake possible, and even when I think I've got it down pat I discover that there is yet another thing that I didn't think of. #1.Communicate. Ninety-Nine percent of problems are caused by breakdowns in communication. Don't overwhelm your contractor with bits of paper and random suggestions. Instead, organize your thoughts, schedule a time, and go over any questions point by point. Then send a line-item list of what was decided upon so there is a clear paper trail. #2 Be prepared with your design and be flexible with your design. You probably have an idea of what you want already. The more planning you have done, the better, but be open to the idea that sometimes modifications need to be made, especially after walls are opened. #3 Measure before you make final choices. For example, measure your doors before you order your appliances. Check for any tight turns, measure every opening, and leave room to spare before you get your heart set on that 36" range. Some retailers will do a site survey to double check - not a bad idea if you are not sure. #4 Order, in order. There are certain things you need to have on-site at the very start of a renovation, and others will just clutter the worksite making it difficult to move around. Speak to your contractor, but for kitchen and bath renovations, flooring and shower body valves (this is the part that goes inside the wall) come first, appliances would come later in the process. Also, be aware that lead times vary a lot. Some cabinets take 6-8 weeks for fabrication after you have signed off on the design. Plan your renovation calendar accordingly and don't leave all the details to last! Check order times for tile, fixtures, hardware, t/p holders and any other items that need to be installed by the contractor. #5 Changes take money AND time. Be aware that adding new elements to the design will add time and change orders/upcharges to the job. Trust me, your contractor wants to get in and out of the job so he/she can move on. Be understanding that they may not always be able to adjust their schedule to accommodate a large change to the scope of the project. Keep the end in mind - it's hard to keep your vision when your place is, well, a mess! But keep a picture of the final result in mind and know that it will be worth it. Could you use some guidance throughout this whole process? How can you know when it’s in your best interest to hire someone and when you should go for your redesign on your own? Take a look at my Design Coach Tips Video and I'll share the real-life pros and cons of working with a designer on a project. Should You Hire an Interior Designer or Do It Yourself…? If you haven’t worked with an interior designer before and you have a space you want to redo you may be wondering if you need a designer or can go it alone. When asked this, I tell people that there are some projects where it makes perfect sense to do it on your own, but other times, you should definitely get a professional designer on board. So how can you know when it’s in your best interest to hire someone and when you should go for your redesign on your own? Take a look at my newest Design Coach Tips Video and I’ll share the real-life pros and cons of working with a designer on a project. Design it yourself with this free guide! Hopefully you got some clarity watching the video. Now take a look at this checklist to help you confirm you’re making the right choice. Check the answers that best reflect your situation. I’m a do-it-yourself kind of person – if I don’t know how to do it I’ll figure it out. I love the idea of being creative with my design and letting my personal artistic flair show. The money I’ll save on design fees are worth the extra time I’ll spend on the project. I’m ready to tackle the real life version (not the HGTV version) of a redecorating project. I’ve got the patience, time, good organization and planning skills to see this project to the end. I don’t have time to look for furniture, coordinate deliveries, install items, find and oversee people who might be working on the project (like painters, carpenters etc.). I need to renovate and/or reconfigure my home (like moving walls, adding windows, do a kitchen or bath remodel). I have no idea where to even start with a redesign. The project feels overwhelming and It won’t get done if I’m feeling this way. Wherever you checked more, well, there's your answer. Now what if you want to give it a try but you’re afraid of making an expensive mistake? Or maybe you have some great ideas but you’re not quite sure you can pull it all together. There is a third option… working with a design coach! A lot of interior designers don’t want to share their secrets but that’s never been my approach. When working with clients what I enjoy most is coaching them through the design process. I loved that “Aha” moment when they discover that they can come up with a great design concept – even if they never though they had a “feel for design” or “spatial sense”. I've distilled what I've learned over the years into a step-by-step system I use with my own design clients. When I realized other people could benefit from learning a system to transform their own spaces, I created this online program that’s truly the first of its kind. Learn more about The Room Makeover Solution and let me know what you think! I can’t wait to hear about your “Aha” moment! I’d say at least 80% of my clients, who are coming to me for design help, already have a Pinterest board (or several) with design ideas that they know they like - which really helps when we're working out the look and style of their space. But while it's a big help to know what you like, you also need to know how to translate that into your own space -- and that can be tricky. 1. Distinguish what you are reacting to in the photo and whether it's MOVEABLE. for example, if it's the architecture or the sunlight, then enjoy the photo but move on, as those things can't be moved into your space. 2. Use the pins to learn new terminology and descriptive words for searching online and on other sites. 3. Look for the colors, patterns and textures that repeat throughout your pins - these can be translated into color palettes and style directions for your room. If you’re using Pinterest for interior design that tells me there’s probably an area in your home that could use a makeover. How would you like FREE access to my newest Design Coach Series online course – The Room Makeover Solution – PLUS a 30-minute one-on-one video coaching session with me to get you on the right track? Until September 30th, you can enter my Design Coach Series GIVEAWAY. Click here to enter this September Giveaway and you could win everything you need to make your room makeover spectacular! Do you ever say, “I hate how my living room looks”? Most of us have space in our home we don’t love – maybe a bathroom, bedroom or entry. But instead doing something about it many of us just live with it because we’re afraid of making an expensive room makeovers mistakes. Or we worry that we’ll spend a lot of money and energy on it and it won’t come together. Redesigning your room doesn’t need to be intimidating. The key is to have a plan. Too many of us buy on impulse. Maybe we fall in love with something or run into a really great sale we just can’t pass up. Then we’re stuck with something that just doesn’t work. So if you’ve ever felt afraid of spending big bucks on a piece of furniture or a room redesign and then not loving it, welcome to the club. We ALL feel that way, including me at times. What I’ve learned is how to deal with these problems through step-by-step processes, so I can minimize mistakes, take the fear out of getting started, and put the fun back in! My Design Coach Series programs teach you step-by-step systems and techniques that you can apply to YOUR design project. Click here to learn more and make sure to grab a copy of my free ebook – 10 Steps to Your Perfect Room Makeover. get the book - it's free! 4 Finishing Touches that Turn Functional into Fabulous! Do you have an area of your home that you’ve put some effort into, but it still doesn’t quite have that polished look you were hoping for? It’s common to run out of steam at the end of a design project or makeover and be left with a nice room, but not a great room. Maybe what’s missing is a little flair or your own personal stamp? Here are four fabulous finishing touches that give your space extra pizzazz without driving you crazy in the process. And get my free Pillow Cheat-Sheet right here! The best pillow resources - click here! 1. Use color to unify. Does your room look like it’s not very cohesive? Take a look at what you have in the space, and pick a secondary color or two to play with for your finishing touches. For example, a small patch of yellow on a rug or a touch of yellow on a painting can be picked up by a pillow. You can even introduce an accent color that doesn’t show up anywhere else! If you use these colors consistently in your pillows, art and accessories, you can’t go wrong. 2. Start with a clean slate, then add and edit. If you already have some items on the space you’re working on, such as a shelf, table or mantle, clear them off and place things in one at a time, creating small groups to start. You do not have to use everything! Translation – you should not use everything. Most of the time, a smaller, carefully curated collection of things makes a stronger design statement than having a whole lot of stuff – even if you feel it has a similar theme or color story. 3. With pillows, vary sizes, and work those accent colors! If you’re picking pillows for a sofa or loveseat, start with your largest pillow in the corner and go smaller from there. Don’t forget to repeat your accent colors, and look for a variety of weaves or textures to keep it interesting. And finally, it’s OK to buy a couple of extras – you’ll have a bit more to play with and you can return the ones that don’t quite work. 4 Hang artwork with a friend. This is important and it’s not just for the company or for a second opinion. If you are hanging anything on the wall, you need to step back and see it in context. Your friend can hold it up and keep a pencil handy to make note of the best position. If you are choosing what to put where, don’t be stuck on the ‘where’. Sometimes an unexpected location makes a great statement for your art, so walk around and try some different options. Finally, start at eye level for hanging. This means that the center of the piece should land around 60” above the floor. Of course feel free to break the rules if things look better at a different height but use this as a starting point. Sometimes it’s the small details in the room that really set it a part and make it a space you love to live and work in. So if your room feels just okay pick one or more of these fabulous finishing touches to give it a boost. Are you looking for a complete room makeover? Could you use some support? Click here to learn about my upcoming Design Coach Series, where I coach you through your entire room redo from start to the final finishing touch. When I begin a new endeavor, whether it’s setting up my website or running a 10k, I get a little overwhelmed in the beginning, especially if it’s out of my comfort zone. Somehow during those first steps, where I’m trying to figure out which direction I should go, I get stuck. And that can cause me to procrastinate, even though I know it should be a priority. For a lot of people redesigning a space in their home is not exactly in their comfort zone. Have you ever felt like you had a great idea for your room but you weren't really sure where or how to begin? Has this led you to procrastinate? and of course, pinterest and houzz! 2. Define what you like (with keywords). Take a very close look at what you like about the space that's inspiring you. Get analytical about it and make sure that what attract you are not unattainable architectural features like high ceilings or giant steel windows. Here are the kinds of things to put on your list: the teal/orange color palette; the neutral color palette with a mix of natural materials like fur, wood, leather, glass; the midcentury modern furniture; the deco style/mirrored furniture; the eclectic bohemian mix. See if you can come up with keywords and phrases that capture your look. Why? It’s these keywords will help you search online for more examples of what you like as well as furniture and accessories that fit into your room redo project. 3. Create a manageable budget. If you spend any time on Pinterest or Houzz, many times what you are looking at – and loving – is very expensive! Create a budget for yourself and see if you can find alternatives to pieces that may be beyond reach. Some websites like copycatchic.com do a great job of showing ‘high/low’ versions of furniture that looks almost the same. Again, having keywords to describe what you are looking for will also help source bargain versions. 4. Put it on the calendar. You’ll increase your chances of enjoying a successfully completed room redo if you don’t plan to do it piecemeal. After all, it’s discouraging living in a half-done space when you started out with a ‘vision’. Make a plan on your calendar that takes into account delivery times for larger pieces, and have a finish date. You may want to plan a little ‘completion celebration’ that shares the new look with friends! 5. Don’t forget to measure - It’s a great feeling when you find a piece of furniture that is the perfect fit for your look. But it’s not a great feeling when it turns out it literally doesn’t fit well in your space! Make sure you measure the space it will be going into, as well as any doorways or hallways it will need to clear to get there. These five first steps will help you get your room redo off to a great start. And once you have some momentum your design project will start to come together. I find that as soon you start seeing results it helps you stay the course and get it done! Would you like some tangible support in tackling your room redo? Click here to learn about my upcoming Design Coach Series, where I coach you through your entire room redo from start to finish. It’ll be fun – all you have to do is get started! where to buy the perfect pillows- click here! I was definitely making my pillow selection harder than I needed to! Once I approached it the same way I do for my clients I was able to get the perfect combination. Choose all of the pillows at once – this coordinated approach is more effective than a piecemeal effort. Bring a sample of your sofa fabric and other pillow covers with you to the store – this will help you select the right color and texture combination. Don’t be seduced by sales items – if you wouldn’t buy it full price then it’s not the pillow for you! Don’t get too “matchy-matchy” – vary with textures, colors and sizes. Do look for a repeating color or pattern that will create a cohesive look. Relax! They’re just pillows. It’s okay to buy a bit more than you need so you can play around with combinations at home. Pillows are easy to return, so don’t hold back. We all have our good days and our bad days, right? With interior design -- especially if there is building or renovations involved -- it can rattle your nerves and test your patience. Let's face it, the reality of going from an idea seen on a blog, or a pin on pinterest to an actual space is not always easy. Every day I learn something new, and I've been doing this a while. So that's why I like to remind myself what I LOVE about this process. The fact that you really CAN go from an idea or a sketch to something real is truly amazing, and completely rewarding. The solution? An integrated radiator/storage cabinet that has a pattern of holes for ventilation, along with an inside compartment for equipment. The legs were given their own cutout shape to add character and make it feel more like furniture. And the final result - a neat pairing of form and function. I also added floating shelves above to create additional storage and display space and give the eye a place to land other than the TV. The cabinet maker was great and followed the radiator pattern with precision (it was three different sized holes!). So, from a drawing to reality -- this one worked out really nicely. I love my job! If you're someone who's had a conversation with me in the past couple of years you know that I've been planning to create an online design program for a very, very long time! Well, that course is finally coming to life and it's really exciting. I love teaching and definitely hate to see people make costly mistakes or end up with spaces that don't work for them. I also know that it's easy to find a picture or a room you love, but a lot harder to actually re-create that look and feel in your own space. This course will walk you through the design process step-by-step with videos, worksheets, templates, and most of all, insider tips. If you want a taste of what the course will help with, download my e-book, "10 Steps to Your Perfect Room Makeover". Signing up for the book will also put you on the list to stay in the loop about when the course is going live (and don't worry, I'm way too busy to cram your inbox with frequent mailings, just one every few weeks or so). Oh, and did I mention that the book is free? Here I am on the first day of video shooting - fun but I definitely feel more comfortable on the OTHER side of the camera! I'll keep you posted....and let me know what YOUR biggest design challenge is so I can make sure to include it in the course.